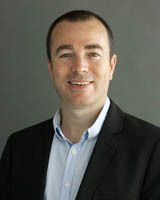 Chris Riedy is Professor of Sustainability Governance and Director of Higher Degree Research at the Institute for Sustainable Futures, University of Technology Sydney. He is a transdisciplinary academic with a career focus on governance for sustainable futures. Chris draws on sociological and political theory, futures thinking and transformative science to design, facilitate and evaluate practical experiments in transformative change towards sustainable futures. He coordinates the Institute’s work on learning and social change. Chris is a Senior Research Fellow of the Earth System Governance project. As part of that project, he co-convenes a Working Group on Transformation and Transition Towards Sustainability. He is also a member of the Sustainability Transitions Research Network and is on the Editorial Boards of Futures and the Journal of Futures Studies. Chris has led 83 research projects at ISF with a combined value of $3.2 million. These projects include a comprehensive review of Australia’s National GreenPower Program, a social practice evaluation of the NSW Smarter Choice Program and a current project on Cohousing for Seniors. He has published two books, 38 peer-reviewed articles or chapters, 56 research reports and hundreds of web articles. He writes a blog on living within planetary boundaries called Planetcentric (http://chrisriedy.me). Fam, D, Riedy, C, Palmer, J & Mitchell, CA 2017, Transdisciplinary research and practice for sustainability outcomes, Routledge, UK. 'Transdisciplinarity' is a form of research and practice that synthesises knowledge from a range of academic disciplines and from the community. There is now global interest and a significant body of work on transdisciplinarity and its potential to address the apparently intractable problems of society. This creates the opportunity for a specific focus on its practical application to sustainability issues. Transdisciplinary Research and Practice for Sustainability Outcomes examines the role of transdisciplinarity in the transformations needed for a sustainable world. After an historical overview of transdisciplinarity, Part 1 focuses on tools and frameworks to achieve sustainability outcomes in practice and Part 2 consolidates work by a number of scholars on supporting transdisciplinary researchers and practitioners.Part 3 is a series of case studies including several international examples that demonstrate the challenges and rewards of transdisciplinary work. The concluding chapter proposes a future research pathway for understanding the human factors that underpin successful transdisciplinary research. Riedy, C 2007, The Eye of the Storm: An Integral Perspective on Sustainable Development and Climate Change Response, VDM Verlag Dr. Muller, Saarbrucken, Germany. White, S, Bubna-Litic, K, Sansom, J, Riedy, C & Sarac, K 2001, State and Local Taxes in Australia: Towards Sustainability. Research Study No 35, Australian Tax Research Foundation, Sydney. © 2018 Newcastle University Effective environmental governance requires institutional change. While some actors work to change institutions, others resist change by defending and maintaining institutions. Much of this institutional work is 'meaning work', which we define as the practice of crafting, adapting, connecting and performing meanings to purposively create, maintain or disrupt institutions. This paper constructs a concept of meaning work that highlights agency in carrying meanings across scales and between discursive layers, while noting the structuring role of prevailing discourses. It grounds the concept using two environmental governance cases at very different scales: a local democratic innovation employed by Noosa Council in Queensland, Australia; and the international campaign to divest from fossil fuels. The cases demonstrate the diversity of meaning work and the difficulty of achieving deep discursive change. They point to the need for environmental governance practitioners to rework existing meanings to construct compelling stories for change, taking advantage of narrative openings. area of the city-region, accounting for only about four percent of the metropolis. Sydney lacks a metropolitan or regional government and has few regional collaborative processes or platforms. Instead the global city strategy of Sydney is shaped and directed by the New South Wales state government. This is contrary to the political decentralisation and devolution trends heralded by international actors such as the Organisation for Economic Co-operation and Development. Sydney also illustrates the dilemma of global cities in that those members at the top of the knowledge economy are highly rewarded and those in the middle and lower strata face difficulty maintaining or improving their situations. Local governments lack the capacity to act independently and the state and federal governments are unwilling to address serious urban problems associated with globalisation, such as public transit or housing. Given the governments' embrace of neoliberalism, the global city vision advanced by leaders is threatened. There is little concrete policy offered by any level of government to address the crisis. tensions and applying diverse approaches) come together in dialogue to share, reflect, critically and constructively question, imagine, challenge, and synthesize their experiences into collective organizational learning. Crossroads can emerge spontaneously but can also be consciously nurtured. In our experience, they help us to sustain the innovation needed for transdisciplinary inquiry and to avoid stagnation or routinization. At these reflective, and often times transformative, crossroads, we make sense of our messy, non-linear transdisciplinary journeys and develop innovations to take our transdisciplinary practices forward. © 2018, © 2018 Editorial Board, Urban Policy and Research. Older Australians face housing challenges including supply, accessibility, affordability, security of tenure and isolation. This article examines the potential for cohousing to address these challenges. In interviews, professionals indicated that cohousing promises benefits for older people, but identified financial and planning barriers. In contrast, focus groups with older people found significant resistance to the concept of shared living; many participants did not see value in cohousing. Resistance stemmed from negative associations with cohousing and cultural lack of familiarity with shared living arrangements. Cohousing has an image problem in Australia that needs to be overcome if it is to thrive. A common response to the global sustainability crisis is to argue that human values and culture need to transform. However, the nature of this interior transformation is rarely explored in any de- tail. Instead, transformation is held up uncritically as the saviour that can get us out of trouble. In this paper, I apply a personal causal layered analysis (CLA) to tease out the dimensions of interior transformation for a viable future in more detail. The analysis draws out competing narratives of interior transformation and explores the potential of these narratives to facilitate transformation of values and consciousness. A story of a thriving Earth emerges as a key cultural resource for interior transformation. © 2015 Inderscience Enterprises Ltd. Many management scholars and some practitioners argue that scenario planning remains under-theorised, that it has a weak evidence base, and that, in practice, it is often too reactive. Responding to these critiques, we contribute to the development of sociologically informed scenario practices, which are more proactive (or 'transformative'). The paper is grounded in an examination of scenario practices at CSIRO (Australia's national science organisation), focussed on the Future Fuels Forum, and a theory of social fields. The case illustrates that both convening a scenario exercise and the construction and/or use of scenarios can be forms of context-specific strategic action, often aimed at inducing cooperation as part of a skilled social action. It also illustrates that the impacts of scenario exercises are influenced by the fluidity of the situation and associated field-level processes; the social skill of actors and their ability to construct and use scenarios in ways that help to solve related problems; and the outcomes of political processes. We also identify key implications for practice. Worldwide, livestock and meat production have been identified by key governmental and scientific institutions as major contributors to climate change, intensive water use, high phosphorous use, and other environmental problems. These adverse environmental impacts are increasing, as the global consumption of livestock products is growing rapidly. Media coverage of the environmental impacts of livestock and meat production in Australia and the United States has been limited and does not communicate a message consistent with the available scientific evidence identified in academic literature. A media content analysis of how the subject of meat has been covered by major Australian newspapers over the past five years provides insights into the news frames and news values in portrayals of meat. News frames of animal welfare, the economy, and food or culinary associations dominated over stories about climate change and other environmental impacts. Media content analysis determined that news values of proximity, conflict, and human interest dominated. Newspaper print media retains a vital, albeit diminishing, role in agenda setting. As such, the content analysis findings in this paper are valuable to inform news media campaigns that seek to stimulate increased media coverage of environmental and other impacts of meat. Such campaigns may assist in placing the issue more prominently on the public agenda. Purpose The purpose of this paper is to explore metaphors of human awakening in four recent futures works and propose a research agenda on the nature and future trajectories of awakening. Design/methodology/approach The paper reviews metaphors of awakening in Slaughter's The Biggest Wake-up Call in History, the Great Transition Initiative, Gilding's The Great Disruption and Inayatullah's Waking up to a new future. It identifies seven characteristics of awakening and uses these to create an environmental scanning framework. It reports on a preliminary application of the framework and proposes a future research agenda. Findings The paper identifies seven signals of awakening: futures literacy, shifting values, activism, collective agency, engaged dialogue, distributed leadership and inspiring visions. While evidence for most of these signals can be found, it is often weak and dominated by other trends. Research limitations/implications The environmental scanning framework needs to be expanded using additional literature and testing. The question of when confrontation with apocalyptic future images can deliver positive outcomes remains unresolved. Riedy, C 2012, 'State of the future: Challenge one: Sustainable development and climate change', The Conversation, vol. 8th June, no. 2012. In July 2010, Pakistan experienced severe flooding from monsoon rains. Approximately one-fifth of the country was underwater (WFP, 2010), with more than 20 million people directly affected and a death toll of almost 2,000 (Asian Development Bank, 2010). The total economic impact has been estimated at 9 to 11 billion USD (Asian Development Bank, 2010). This type of event is consistent with climate change projections, which see a temporary increase in water availability due to melting of glaciers in the Himalayas, followed by a gradual decline in water availability (Cruz et al., 2007). If these projections are accurate, flooding is the short-term problem but water security will be the long-term problem for South Asia. Riedy, C 2011, 'In the wake of Fukushima', U:, vol. 2011, no. 4, pp. 6-7. Riedy, C 2011, 'Will NSW renewables be blown off course by Victoria's winds of change? ', The Conversation, vol. 6 Sep 2011. This article is a personal reflection on what integral practitioners can learn from a dialogue that played out in the pages of the journal Futures. In March 2008, Futures published a special issue on Integral Futures methodologies, in which the authors used the AQAL model to explore futures thinking and methods. I contributed an article that used the AQAL model to analyze and propose an extension of a futures method called Causal Layered Analysis. The response to the special issue from some futurists was critical, and Futures published a second special issue in March 2010 giving voice to these critiques. After reflection, some of the criticism of the original special issue (and particularly of my article) seems justified. The experience has caused me to question the way that I (and others) have applied the AQAL model. I am sharing my reflections in the hope that there are valuable lessons for other integral practitioners, particularly those who are relatively new to the AQAL model. My perspective is that of a practitioner seeking to use integrative approaches to grapple with sustainability problems. I argue for an ecology of integrative approaches in which the AQAL model is one viable approach, existing in dialogue with other integrative approaches. In this paper, I use a Wilberian integral futures approach to examine visions of the future within the climate action movement and identify sources of agreement and contention. I argue that the Wilberian approach is particularly valuable in drawing out diverse futures associated with differing levels of consciousness. Applying this approach to the climate action movement, I identify a likely future in which the continued promotion of a particular set of ecological values limits the appeal of the movement and reduces its effectiveness. An alternative future sees movement leaders working from or adopting more diverse value positions to develop movement visions that have broader appeal and support more effective results. Riedy, C 2011, 'Celebrate a carbon tax, then take three steps to a zero carbon Australia', The Conversation, vol. 9 Nov 2011, no. 12.50pm AEST, pp. 1-1. On 26 September 2009, approximately 4,000 citizens in 38 countries participated in World Wide Views on Global Warming (WWViews). WWViews was an ambitious first attempt to convene a deliberative mini-public at a global scale, giving people from around the world an opportunity to deliberate on international climate policy and to make recommendations to the decision-makers meeting at the United Nations Climate Change Conference in Copenhagen (COP-15) in December 2009. In this paper, we examine the role that deliberative mini-publics can play in facilitating the emergence of a global deliberative system for climate change response. We pursue this intent through a reflective evaluation of the Australian component of the World Wide Views on Global Warming project (WWViews). Our evaluation of WWViews is mixed. The Australian event was delivered with integrity and feedback from Australian participants was almost universally positive. Globally, WWViews demonstrated that it is feasible to convene a global mini-public to deliberate on issues of global relevance, such as climate change. On the other hand, the contribution of WWViews towards the emergence of a global deliberative system for climate change response was limited and it achieved little influence on global climate change policy. We identify lessons for future global mini-publics, including the need to prioritise the quality of deliberation and provide flexibility to respond to cultural and political contexts in different parts of the world. Future global mini-publics may be more influential if they seek to represent discourse diversity in addition to demographic profiles, use designs that maximise the potential for transmission from public to empowered space, run over longer time periods to build momentum for change and experiment with ways of bringing global citizens together in a single process instead of discrete national events. This paper draws on research undertaken for the State of Play in the Futures Field (SoPiFF) project and aims to explore the contribution of futures work to understanding and resolving aspects of the global problematique and to examine the social interests evident in futures work. This paper aims to draw on a global scan of futures literature undertaken for the State of Play in the Futures Field (SOPIFF) project to investigate the contribution of futures work to averting looming sustainability challenges and suggest new strategies for influencing policy and practice. Causal layered analysis (CLA) is a futures method developed by Sohail Inayatullah and since applied by numerous futurists across multiple content areas. The central assumption of CLA is that there are different levels of reality and ways of knowing; beneath the popular conceptions of an issue (the litany) and more academic analysis of systemic causes are deep worldview commitments, discourses, myths and metaphors. This layered understanding of reality initially seems to resonate with ideas from Ken Wilber's Integral Theory, which identifies developmental levels across behavioural, social, psychological and cultural quadrants. On closer inspection, there are some important theoretical and conceptual differences between CLA and Integral Theory; from an Integral perspective, the layers in CLA confuse quadrants, developmental levels and developmental lines. In this paper, I explore these differences in search of a resolution that will allow the fruitful application of CLA within an Integral Futures framework. I find that CLA, as currently conceived, is not an Integral method in its own right. However, CLA has great value for Integral Futures work as a way of drawing attention to the neglected cultural dimension of futures. Further, with some modifications and extensions, a more Integral application of CLA seems possible. Riedy, C 2007, 'The morality of climate change: a response', Living Ethics, vol. NA, no. 67. In this paper, I develop an integral futures perspective on the global collective. The emergence of a global mind, soul or any kind of collective structure requires simultaneous development in behavioural, social, psychological and cultural realms. Development in any one of these realms has the potential to stimulate corresponding development in other realms. I focus particularly on two social practices that work together to draw out and integrate multiple perspectives and stimulate personal and cultural development. These practices are deliberation across difference and integral facilitation. Both have the potential to support the emergence of an inclusive global collective. Saddler, H, Riedy, C & Passey, R 2004, 'Geosequestration: what is it and how much can it contribute to a sustainable energy policy for Australia? ', The Australia Institute Discussion Paper, vol. 72, pp. 1-62. Methodologies for end use analysis have been developed by different researchers in the energy and water fields and in different areas in the world over the last 20 years. While there are core features associated with the methodologies and models used, the differences can provide insight into the ways that they might be improved, as well as the differences that may be required in different regions and when models are used for different purposes. In addition to reviewing the field of end use analysis and appliance stock models, this paper will focus on two case studies. The first is the Sydney Water End Use Model, developed as part of the Sydney Water Least Cost Planning Study. This model has been developed and used to project the demand for water in Sydney over the next 20 years under business as usual scenario, as well as allow the projection of a number of scenarios which include major investment in water efficiency and effluent reuse programs as well as regulatory options to improve the efficiency of water using appliances in stalled in new buildings. Key features of the Sydney Water End Use Model include the fact that it takes into account the fact that the efficiency of toilets in Australia has a much larger range than (say) the US, in that the dual flush toilet was introduced in (to date) three stages. The model also accounts for projections of demographic and land use change which has been particularly dramatic in Sydney, particularly the movement to smaller occupancy rates in dwellings, and towards multi-family residential dwellings. The second case study will demonstrate the linkages between end use modeling of energy using and water using appliances. Transdisciplinary (TD) research is increasingly recognized as a crucial response to global environmental and social challenges. To support this response, there is a growing need to create spaces where graduate researchers can learn the skills and dispositions needed for effective TD research. One way to develop such skills and dispositions is by building a supportive community of practice (CoP). In this chapter, we reflect on a nested set of CoPs established at the Institute for Sustainable Futures (ISF), University of Technology Sydney. ISF's postgraduate research programme established a TD CoP in 2002 as a way to draw together a diverse group of disparate, disconnected students. We briefly outline the activities that support a TD CoP within ISF's postgraduate programme and their links to TD skills and dispositions, before offering a detailed critical reflection on the role of our annual residential retreat in supporting mutual TD learning. Our reflection draws on feedback and evaluations conducted each year. Over the 2 days of the retreat, students and supervisors engage in thematic learning activities and discussions developed and facilitated collaboratively by the participants. Our reflections highlight the many tensions that need to be navigated in a TD CoP and point to the importance of nurturing social relations and trust as a foundation for collective TD learning. The landscape of TD research is rocky terrain for supervisors and students alike, and such terrain benefits enormously from, indeed, perhaps requires, an annual retreat or similar activity to nurture a thriving community of TD scholars. Palmer, J, Riedy, C, Fam, DM & Mitchell, CA 2017, 'Transdisciplinary research and practice for sustainability outcomes: an introduction' in Fam, D, Palmer, J, Riedy, C & Mitchell, C (eds), Transdisciplinary research and practice for sustainability outcomes, Routledge, UK, pp. 1-6.
ground a 'genuine' knowledge partnership (Nowotny et al. 2013). dependent on the interpretation of individuals. legitimate way of doing research; nor is it the only basis for theories of reality (2015). transdisciplinary approach to address this phosphorus challenge. This paper outlines the technical and strategic analysis used to decide on the target. In addition, the paper draws out insights from the negotiations between the five universities. The circumstances of each university differed with respect to the greenhouse intensity of the local electricity supply, projected growth, and the extent of previous action to reduce greenhouse gas emissions. The negotiations sought an equitable approach to address these differences, building on the principle of contraction and convergence. The ATN approach is a possible model for other university partnerships. Further, the political and technical challenges that emerged provide insights into the challenges that other universities need to overcome in responding to climate change. In 2007, the Intergovernmental Panel on Climate Change (IPCC) concluded that: `Warming of the climate system is unequivocal, as is now evident from observations of increases in global average air and ocean temperatures, widespread melting of snow and ice, and rising global average sea level (IPCC 2007, p. 5). Further, they conclude that: `Most of the observed increase in global average temperatures since the mid-20th century is very likely due to the observed increase in anthropogenic greenhouse gas concentrations (ibid., p. 10) (italics in original). Brown, B & Riedy, C 2006, 'Use of the Integral Framework to Design Developmentally-Appropriate Sustainability Communications' in Filho, WL (ed), Innovation, Education and Communication for Sustainable Development, Peter Lang Scientific Publishers, Frankfurt, Germany, pp. 661-687. Riedy, CJ 2016, 'Can a doctorate be transdisciplinary? ', Quality in Postgraduate Research Conference 2016, Adelaide. Abstract: Climate change adaptation requires communities to prepare for both extreme weather events and the more gradual shifts that a changing climate may bring. Our project designed and evaluated several face-to-face activities to engage communities in North East Victoria on climate change adaptation. The objective was ultimately to help vulnerable people in the community become more resilient by connecting them with resources and supportive networks. The workshops tested several innovative community engagement activities, including storytelling, visioning and creative practice. These activities responded to a body of research on best-practice approaches for engaging community elders and leaders as spokespeople and peer educators, as well as research on deliberation and the use of story to locate sustainability experiences in an emotional landscape. The workshops used existing community networks to multiply their potential impact, and took place in communities that had experienced extreme climate events (drought, fire and flood) firsthand. We present a toolkit of ten community engagement activities drawing on the experience of these workshops. We contend that these activities are potentially replicable by local governments and other stakeholders in climate change adaptation. Further, they can bring to life the many and varied materials created by various agencies about preparation for climate change. Abstract: This paper investigates the social practices of Australian sustainability `change agents that are working to reduce community energy use. These change agents work to promote change for sustainability, often through leadership of specific projects or initiatives. Their practices are of interest because they influence the effectiveness of efforts to reduce energy consumption. The specific social practice framework employed in the paper draws on the work of Elizabeth Shove and colleagues. It contends that social practices integrate three types of element: materials, competences and meanings. Drawing on semi-structured interviews with 28 change agents across Australia, the paper identifies the materials, competences and meanings held by the change agents and explores how those elements are integrated into practices. Observed competences included skills in co-learning or facilitated learning and the cultivation of positive agency. Change agents employed diverse materials, including new forms of media, and tailored their initiatives to the material context in which they were operating. In the realm of meanings, change agents drew on competing theories of change but were united in their focus on the individual as the locus of change. A social practice framework decentres the individual and may offer new opportunities to shift community consumption patterns. Riedy, C & Ross, K 2012, 'The emerging social practices of collaborative consumption: A new digital infrastructure for social change? ', Proceedings of Beyond Behaviour Change Symposium, Beyond Behaviour Change Symposium, RMIT, RMIT, Melbourne. Riedy, C 2012, 'Engaging communities in climate change adaptation', 21st NSW Coastal Conference: NSW Coastal Management - Coming of Age?, 21st NSW Coastal Conference: NSW Coastal Management - Coming of Age?, East Coast Conferences, Kiama, NSW, Australia, pp. 1-19. Riedy, C 2012, 'The self, the system and the group: Three contexts for changing consumption practices', Proceedings of the 18th International Sustainable Development Research Conference, 18th International Sustainable Development Research Conference: People, Progress and Environmental Protection, International Sustainable Development Research Society (ISDRS), Hull, England. Riedy, C 2012, 'Advocating for a sustainable future in Australia: 15 years of the Institute for Sustainable Futures', Proceedings of the 18th International Sustainable Development Research Conference, 18th International Sustainable Development Research Conference: People, Progress and Environmental Protection, International Sustainable Development Research Society (ISDRS), Hull, England. Rask, M, Herriman, J, Riedy, C & Worthington, R 2012, 'Policy effectiveness in large-scale deliberative democratic processes', Proceedings of the Deliberative Democracy in Action Conference: Theory, Practice and Evidence, Deliberative Democracy in Action Conference: Theory, Practice and Evidence, Democracy: A Citizen Perspective (D:CE), Abo Akademi University, Finland. Riedy, C 2012, 'Psychology of sustainable behaviour', Invited presentation to Climate Change Community of Practice at the NSW Office of Environment and Heritage, Sydney, Australia. Riedy, C 2012, 'Zero carbon homes: Leading practice and pathways forward', Keynote address at Ecoforum 2012, Sydney, Australia. Riedy, C 2012, 'Zero carbon homes: Leading practice and pathways forward', Green Cities 2012, Sydney, Australia. Riedy, C 2011, 'Teaching geography for the next decade', Association of Independent Schools Geography Conference, Sydney. Riedy, C 2011, 'Supervising in five dimensions: An Integral Approach to research supervision', Showcasing Research Supervision: Experiences, Reflection, Transformation, SuperVision 2011, Swinburne University of Technology, Melbourne, pp. 106-107. Riedy, C 2011, 'Engaging communities in climate change response - workshop presentation', Inter-jurisdictional Marketing Group Workshop, Sydney. Riedy, C 2011, 'Engaging communities in climate change response - conference presentation', Ecoforum 2011, Sydney. Riedy, C 2010, 'My vision of a zero carbon future', Tipping Point, Sydney. Riedy, C 2010, 'Change the message or change the people? The role of translation and transformation in an Integral climate change response', Enacting an Integral Future: 2nd Biennial Integral Theory Conference, Enacting an Integral Future: 2nd Biennial Integral Theory Conference, John F. Kennedy University and Integral Institute, Pleasant Hill, California, USA. Riedy, C 2010, 'UTS renewable energy options', UTS Student Forum on Sustainability, University of Technology, Sydney, Australia. Riedy, C 2011, 'Integral thinking and climate change policy: Four sketches from Down Under', Integral Education and Ecology Seminar, Mount Madonna, California. Riedy, C 2010, 'ATN Sustainability: Behaviour change at universities', ATN Sustainability Managers, University of Technology, Sydney, Australia. Riedy, C & Sankaran, S 2010, 'Identifying sustainable futures: Threats to Indian Ocean sustainability and possible responses', Indian Ocean and South Asia Research Network (IOSARN) Conference, University of Technology, Sydney, Australia. Riedy, C 2010, 'The policy response to climate change', Proceedings of EcoForum 2010, Ecoforum 2010, EcoForum Limited, Sydney, Australia. Kent, JC, McGee, CM, Herriman, J & Riedy, C 2010, 'A tough social challenge and a diabolical policy challenge', Berlin Conference on the Human Dimensions of Global Environmental Change: Social dimensions of environmental change and governance, Berlin Conference on the Human Dimensions of Global Environmental Change: Social dimensions of environmental change and governance, Berlin Conference on the Human Dimensions of Global Environmental Change, Berlin. Kent, JC, McGee, CM, Herriman, J & Riedy, C 2010, 'Participation and deliberation: could deliberative processes empower civil society participation in climate governance? ', Proceedings of Berlin Conference on the Human Dimensions of Global Environmental Change 2010, Berlin Conference on the Human Dimensions of Global Environmental Change: Social dimensions of environmental change and governance, Environmental Policy Research Centre, Freie Universitat, Berlin and German Development Institute, Berlin, Germany, pp. 1-16. Riedy, C & Herriman, J 2010, 'Challenges for global deliberative democracy processes: Insights from World Wide Views on Global Warming in Australia', Proceedings from the 'Democratizing Climate Governance' conference, Democratizing Climate Governance, Centre for Deliberative Democracy & Global Governance, ANU, Australian National University, Canberra, ACT, pp. 1-17. In the context of climate change response, sustainable urban infrastructure needs to deliver deep cuts in greenhouse gas (GHG) emissions, of the order of 80-90% by 2050. This paper examines how various GHG reduction strategies applied to urban infrastructure open up or foreclose the potential for deeper cuts in the long-term. It uses case studies of a major precinct-scale urban redevelopment site and a city-wide planning process in Sydney to illustrate how developers and planners are balancing short to medium-term GHG reduction actions with the need to achieve much deeper cuts in the long-term. There is a particular focus on the implications of strategies that prioritise gas-fired cogeneration. The paper argues that too little attention is being given to the long-term implications of short-term GHG reduction strategies and proposes infrastructure design principles for long-term GHG reduction. Riedy, C 2009, 'Sustainable futures and NECA', NECA Conference, Hunter Valley, NSW, Australia. Riedy, C 2009, 'The Intelligent Grid', NECA Conference, Hunter Valley, NSW, Australia. Riedy, C 2009, 'Energy in a changing climate: New priorities for climate policy', Conservation Council of South Australia Energy Summit, Adelaide, South Australia. Riedy, C 2008, 'Carbon Offset Watch assessment methodology and results', Carbon Offset Watch launch. Riedy, C 2008, 'Australian cultural practices and climate change response', New Voices, New Visions: INASA Conference 2008, New Voices, New Visions: INASA Conference 2008, Brisbane. Riedy, C 2008, 'Citizen participation in decisions about Australia's climate change response', Rights, Reconciliation, Respect, Responsibility: The 4Rs Conference, Rights, Reconciliation, Respect, Responsibility: The 4Rs Conference, Sydney. Riedy, C 2008, 'Climate change, ethics and the Garnaut Review', Macquarie Global Leadership Program, Macquarie University. Riedy, C 2008, 'Peak oil', Spirituality in the Pub, Jamberoo Hotel, Sydney, Australia. Riedy, C 2008, 'Futures thinking and education for sustainability', presentation to Department of Education and Training (NSW), Sydney, Australia. Snelling, CM, Turner, AJ, Riedy, C, White, S & Cummings, S 2007, 'Where does the water go? Best practice stock modeling for water using appliances', 4th IWA Specialist Conference on Efficient Use and Management of Urban Water Supply: Proceedings 1, IWA Efficient 2007, IWA Specialist Group: Efficient Operation and Management, Jeju Island, Korea, pp. 307-314. Riedy, C 2007, 'Transport subsidies and climate change', Transport and Climate Change Forum, Brisbane. Riedy, C 2007, 'Subsidies and climate change aid', Conference of the Climate Action Network Australia, Canberra. Riedy, C 2007, 'Our transport', Climate-Faith-Change, Auburn, NSW, Australia. Riedy, C 2006, 'A developmental perspective on climate policy discourse', Proceedings of the Ninth Biennial Conference of the International Society for Ecological Economics: Ecological sustainability and human well-being, Ninth Biennial Conference of the International Society for Ecological Economics: Ecological sustainability and human well-being, ISEE, New Delhi, India. Riedy, C 2006, 'Sustainability: Balancing markets and regulation', Delivering Sustainability: Households and Essential Services (2006 Conference of the Utility Consumers' Advocacy Program at the Public Interest Advocacy Centre), Sydney, Australia. Riedy, C 2006, 'The true cost of nuclear power', Baked or Fried? Is Nuclear Power the Only Viable Solution to Climate Change?, Labor Environment Activist Network Seminar, Surry Hills, Sydney, Australia. Riedy, C 2006, 'Participation barriers and social equity issues for small participants', Metering: A Portal for Change, University of NSW, Sydney, Australia. Riedy, C 2006, 'Pollution, politics and power: What should Australia do to meet the threat of climate change? ', UTSpeaks lecture, University of Technology, Sydney, Australia. Riedy, C 2005, 'Energy and greenhouse impacts of water options for Sydney', Presentation to expert forum on Recycling: The Sustainable Alternative to Desalination, Parliament House, Sydney, Australia. Riedy, C 2005, 'Developing a culture of climate change response', The Great Greenhouse Gamble Conference, Sydney, Australia. White, S, Milne, GR & Riedy, C 2003, 'End use analysis: issues and lessons', Efficient 2003: Efficient Use and Management of Water for Urban Supply Conference, Efficient 2003: Efficient Use and Management of Water for Urban Supply Conference, Tenerife. Riedy, C 2003, 'A deeper and wider understanding of sustainable development', Ecopolitics XIV Conference: Greening Sustainability, Ecopolitics, Ecopolitics Association of Australasia, Melbourne, Victoria. This research project asks what mini-publics contribute to democracy from a systemic perspective, and how that contribution might be strengthened. For evidence, we draw on three mini-publics supported by the newDemocracy Foundation during 2015 and 2016: the Penrith Community Panel; the Noosa Community Jury (on management of the Noosa River); and Infrastructure Victoria's citizen juries. This report summarises the results of a Climate Action and Engagement Scoping Study conducted by the Institute for Sustainable Futures for Green Music Australia. The research provides a snapshot of the Australian music industry's impact, level of awareness and opportunities for improvement with regards to sustainability and climate action. Riedy, C, Herriman, J, Daly, JG, Ross, K, Jackson, ML, Lederwasch, AJ, Boronyak, LJ & Murta, J Institute for Sustainable Futures, UTS 2012, Water in North East Victoria: Regional Community Development Climate Adaptation Plan - Final Report, Sydney, Australia. Riedy, C, Lederwasch, AJ & Harris, SM Institute for Sustainable Futures, UTS 2012, Zero carbon homes: A review of leading practice, pp. 1-66, Sydney, Australia. Riedy, C, Jackson, ML, Usher, J & Milne, GR Institute for Sustainable Futures, UTS 2011, Australian Green Infrastructure Council Infrastructure sustainability rating tool: Energy and carbon category, Sydney. Riedy, C & Daly, JG Institute for Sustainable Futures, UTS 2011, Review of ATN greenhouse gas reduction targets: Final report, Sydney. Riedy, C Institute for Sustainable Futures, UTS 2011, UTS sustainability strategy 2012-2015: Draft for consultation, Sydney. Riedy, C, Herriman, J, Partridge, EY, Dovey, C, McGee, CM, Atherton, AM & Daly, JG Institute for Sustainable Futures, UTS 2010, Household behaviour change in Queensland: Literature review and recommendations, pp. 1-186, Sydney. Effective behaviour change by householders will be crucial if the Queensland government is to meet its Towards Q2 target to cut the State's carbon footprint by one third through reductions in electricity use, fuel consumption and waste to landfill. The Institute was commissioned to conduct research into the potential of behaviour change policies by the Premier's Council on Climate Change (PCCC). This advisory council, chaired by the Premier, provides high-level advice to the Queensland Government on climate change response. After examining contemporary theory and practice relating to effective behaviour change policy, Institute researchers made specific recommendations for behaviour change initiatives that can be implemented in Queensland. The report identifies key points of intervention in the activities that generate household greenhouse gas emissions. These include both new and revised actions that are supported by evidence from behaviour change theory and are applicable to Queensland. The PCCC prepared a working paper including recommendations based on the Institute's research, which is currently with the Queensland government for consideration. Riedy, C, Herriman, J, Dovey, C & Boyle, TM Institute for Sustainable Futures, UTS 2010, Reducing commercial and industrial food waste: literature review and options, pp. 1-122, Sydney. Usher, J, Riedy, C, Milne, GR & Rutovitz, J Institute for Sustainable Futures, UTS 2010, Carbon capture and storage in perspective, Sydney. Riedy, C & Ross, K Institute for Sustainable Futures, UTS 2010, Rebound effects in residential heating and cooling improvements: Literature review, Sydney. Riedy, C Institute for Sustainable Futures, UTS 2010, UTS energy bill projections and renewable energy options: Discussion paper, Sydney. Riedy, C Institute for Sustainable Futures, UTS 2009, ATN greenhouse targets: Report and recommendations, Sydney. Riedy, C & Ison, N Institute for Sustainable Futures, UTS 2009, UTS climate change action plan, Sydney. Usher, J, Riedy, C, Daly, JG & Abeysuriya, K Institute for Sustainable Futures 2008, Cogeneration in NSW: review and analysis of opportunities, Sydney. Daly, JG & Riedy, C Institute for Sustainable Futures 2008, Cogeneration Stakeholder Workshop: Summary Report, Sydney. Riedy, C & Dunstan, C 2008, Green transformers workshop report. Riedy, C, Usher, J, Daly, JG & Abeysuriya, K 2008, Cogeneration in NSW: Review and Analysis of Opportunities. Riedy, C & Usher, J Institute for Sustainable Futures, UTS 2008, Frasers Broadway energy modelling report, Sydney. Atherton, AM, Lewis, J & Riedy, C Institute for Sustainable Futures, UTS 2008, Footprinting greenhouse gas eEmissions, Sydney. Daly, JG & Riedy, C Institute for Sustainable Futures, UTS 2008, ATN greenhouse and energy target discussion paper, Sydney. The need for Australia, and New South Wales, to greatly reduce greenhouse gas emissions to avoid dangerous climate change is now well established. One of the biggest challenges will be to rapidly stabilise and then reduce emissions associated with electricity generation. In NSW, electricity generation alone accounts for 37% of total emissions (Australian Greenhouse Office 2007) and these emissions have grown rapidly since 1990. One technology that shows great promise as a way of reducing greenhouse gas emissions from electricity generation is wind power. Globally, the use of wind power is growing rapidly due to its low cost relative to other renewable energy sources, the abundance of global wind resources, the maturity of the technology and its low lifecycle greenhouse gas emissions. It has been estimated that wind power could supply as much as 29% of global electricity needs by 2030 (GWEC & Greenpeace 2006). However, in NSW, there are only four wind farms, supplying much less than 1% of our electricity generation. The development of wind power in NSW has been hindered by a lack of consistent government support at the Federal and State levels and by community resistance to particular wind farm proposals. This report aims to provide balanced material on the benefits of wind farms, criticisms of wind farms and the ways that wind farm development might be improved to respond to community concerns. What is wind power? Wind contains a lot of energy and the energy increases rapidly with wind speed. To capture this energy, the modern wind industry uses wind turbines. A typical wind turbine consists of a tower and foundation, supporting a nacelle (a housing for a gearbox and generator) and a rotor with three specially shaped blades. When the wind passes over the blades, their shape creates pressure differences and causes the rotor to turn. The rotor is attached to the generator, which creates electricity. Riedy, C & Simard, S Institute for Sustainable Futures 2007, WaterFix and DIY retrofits: Evaluation of energy and water savings, Sydney. Riedy, C & Daly, JG Climate Action Network Australia 2007, Australia's mitigation potential: why Australia should not receive another special deal, pp. 1-12, Sydney. Riedy, C, Simard, S, Snelling, CM & White, S Institute for Sustainable Futures, UTS 2007, Sydney Water Corporation end use model review: Stage 2 report (detailed review and recalibration), Sydney. Riedy, C, White, S, Giurco, D & Snelling, CM Institute for Sustainable Futures, UTS 2007, Sydney Water Corporation end use model review: Stage 3 report (research plan), Sydney. Slaughter, R, Conway, M, May, G, Morgan, D & Riedy, C Institute for Sustainable Futures, UTS 2007, The state of play in the futures field - final report, Sydney. Snelling, CM, White, S & Riedy, C Institute of Sustainable Futures, UTS 2006, The water conservation potential of an Australia - wide toilet retrofit, pp. 1-24, Sydney. Water use in toilets accounts for more than 25% of total indoor residential water demand in Australia. As such, toilet demand should be an important area of focus for demand management programs in Australia. One obvious demand management approach is to accelerate the rate at which single flush toilets are replaced by efficient dual flush toilets. This report describes the development and use of a toilet demand model to estimate the water conservation potential of a retrofit of all single flush toilets in Australia with Caroma SmartFlush toilets (dual flush toilets with 4.5 litre full flush and 3 litre half flush). The toilet demand model is a stock model that tracks the evolution of the stock of different toilet types over time. The following types of toilet are included in the model: Â·Single flush toilets (SF) Â·Dual flush toilets with full flush of 11 litres and half flush of 5.5 litres (DF 11/5.5) Â·Dual flush toilets with full flush of 9 litres and half flush of 4.5 litres (DF 9/4.5) Â·Dual flush toilets with full flush of 6 litres and half flush of 3 litres (DF 6/3) Â·Caroma SmartFlush toilets with full flush of 4.5 litres and half flush of 3 litres (DF 4.5/3). An Australia-wide model is supported by separate models for capital cities and two regional centres (Goulburn and Toowoomba). Figure ES1 shows toilet demand projections for Australia under three scenarios: Â·Scenario 1: Base case in which all toilets are single flush (i.e. no introduction of dual flush toilets) Â·Scenario 2: Continued evolution of toilet stock without further intervention Â·Scenario 3: A retrofit to replace all single flush toilets with DF 4.5/3 toilets in 2006-07. The figure shows the very significant impact that the introduction of dual flush toilets has had on total toilet demand in Australia. In 2006-07, the savings already achieved amount to 214 GL per year. A 2006-07 retrofit would immediately save an additional 79 GL per year. The Capital Region Climate Change Forum was organised, facilitated and evaluated by the Institute for Sustainable Futures (ISF) at the University of Technology, Sydney (UTS). The NSW Greenhouse Office and the ACT Department of Territory and Municipal Services provided funding for the Forum. The Forum was held from Friday 1 December to Sunday 3 December 2006. The primary objectives of the Forum were to: * Test the use of a citizens jury as a way of helping the community to engage with the issue of climate change and develop informed recommendations on how to respond * Provide the NSW and ACT Governments with a greater understanding of how the community in the Capital Region would like to respond to climate change * Improve understanding of community perspectives on climate change more broadly. The Forum grew out of an earlier proposal for a National Conversation on Climate Change (NCCC), developed by ISF. The NCCC proposal is provided in Appendix A. The aim of the NCCC is to stimulate public debate on Australia's response to climate change by undertaking a series of high profile citizen forums in all Australian states and developing an associated website and other media outputs. It seeks to promote public deliberation on climate change response. Deliberation is an approach to decision making in which citizens consider relevant facts from multiple points of view, converse with one another to think critically about options before them and enlarge their perspectives, opinions and understandings. In a deliberative process, participants are provided with information, training, time and other resources to allow them to learn about and debate an issue and come to a considered view. A deliberative process acts as a capacity building exercise in which non expert members of the community are empowered to discuss and form valid opinions about the subject. Riedy, C, Atherton, AM & Lewis, J Institute for Sustainable Futures, UTS 2006, Capital region Climate Change Forum: Project report, evaluation report, Sydney. Tarlo, K, Jha, M & Riedy, C Institute for Sustainable Futures 2005, Water and climate change: Literature review, Sydney. This is the Final Research Report of the Community EmPOWERment project conducted by the Moreland Energy Foundation Limited (MEFL) and the Institute for Sustainable Futures (the Institute). The full title of the project is Improving Demand Management Choices for Small Customers in the National Electricity Market (NEM). The National Consumers Electricity Advocacy Panel (NCEAP) and the Consumer Utilities Advocacy Centre (CUAC) funded the research. The primary objectives of the research were to investigate the social influences on household electricity consumption, improve understanding of barriers to demand management at the household level and identify promising policy actions to allow householders to better manage their electricity use. A secondary objective was to educate householders on practical actions that they can take to reduce their electricity bills. Cheney, HE, Nheu, N & Riedy, C Institute for Sustainable Futures 2004, Review of Sydney Catchment Authority's environmental and ESD indicators: Final report, Sydney. The Community EmPOWERment project was established by the Moreland Energy Foundation Limited (MEFL) and the research undertaken by the Institute for Sustainable Futures (the Institute). The full title of the project is Improving Demand Management Choices for Small Customers in the National Electricity Market (NEM). The National Consumers Electricity Advocacy Panel (NCEAP) and the Consumer Utilities Advocacy Centre (CUAC) funded the research. A research working group was established to oversee the development of project, involving Jim Wellsmore from Public Interest Advocacy Centre in NSW and Andrew Nance from SACOSS. The primary objectives of the research were to investigate the social influences on household electricity consumption, improve understanding of barriers to demand management at the household level and identify promising policy actions to allow householders to better manage their electricity use. A secondary objective was to educate householders on practical actions that they can take to reduce their electricity bills. Waste minimisation can potentially decrease the amount of waste to landfill by approximately 80%, using readily available means. This project examines ways in which a similar reduction could be achieved at the Australian Technology Park (ATP) and put the ATP at the forefront of waste reduction in NSW. The limitations of the current solid waste management system at the ATP include the lack of recycling services and the poor location of the communal waste facilities. Riedy, CJ, mckenna, K, wynne & daly 2017, 'Co-housing works well for older people, once they get past the image problem', The Conversation. Riedy, CJ 2017, 'Being an ethical neighbour in a warming region', Policy Forum. Wynne, LE, Riedy, C, Daly, M & McKenna, K 2017, 'Cohousing: An alternative tenure for senior Australians?'. Riedy, CJ 2014, 'Moving the masses: Towards an integrated theory and practice for values-based engagement'. Riedy, CJ 2005, 'The Eye of the Storm: An Integral Perspective on Sustainable Development and Climate Change Response'. In this thesis, I explore the implications of integral theory for sustainable development and climate change response. Integral theory seeks to integrate objective and subjective perspectives using a developmental orientation. It addresses issues of subjectivity that have received inadequate attention in mainstream approaches to sustainable development, while also providing theoretical grounding for the developmental aspect of sustainable development. According to integral theory, there are four main epistemological approaches to any problem: behavioural, systemic, psychological and cultural. The first is objective and individual, the second objective and collective, the third subjective and individual and the fourth subjective and collective. Development occurs within each of these realms. To test the value and implications of integral theory for sustainable development, I adopt a case study on climate change response in Australia. I begin the case study by using the four perspectives of integral theory to guide a review of the energy and climate change literature. I follow the literature review with a critical review of Australian energy and greenhouse policy, providing the starting point for development of an integral climate change response. While there is attention to subjectivity in the literature, it is not reflected in Australian policy practices. An objective perspective and an instrumental form of rationality dominate policy. Developing a trans-disciplinary team and approach to integrated catchment management, using visual communication design and a cooperative decision-making model.